Yesterday Viva Invited me to X- Men Movie Premiere Night at 360 Vip theatre, the 2nd social media event Viva does . Emphasizing on the huge rule blogs plays at the current time. Mr. Mohammed Yaqoub welcoming all bloggers who showed up! I'm not a big fan of sci-fi or super hero's in general, surprisingly I enjoyed the movie soo much that I didn't want it to end ! 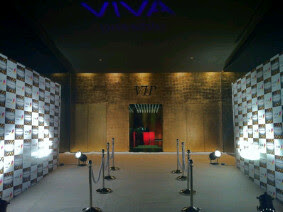 Thnx alot Viva for the amazing night you rocked ! And a big thank you to Ms. May Al-Subae for her outstanding efforts ! Enjoy your dusty weekend folks !